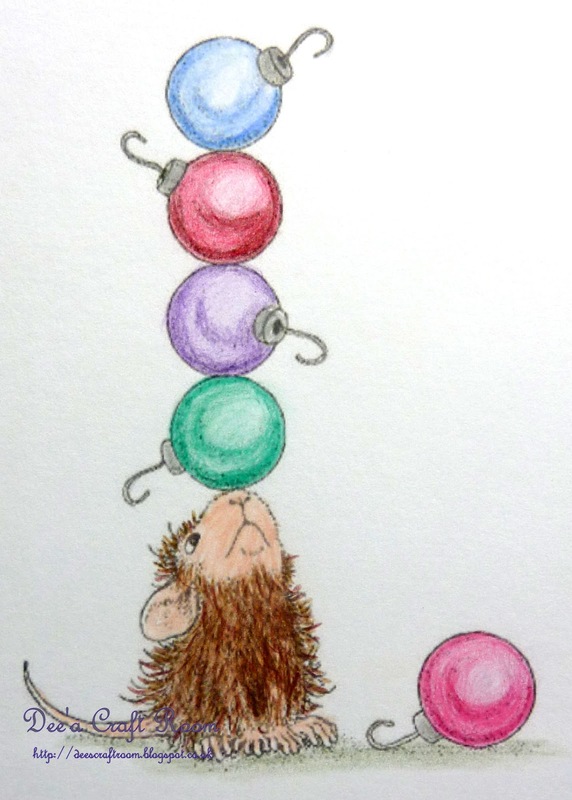 I am still playing catch up posting my Christmas cards. Only a couple to go now. This is however a very brief post, not much to say about this CAS card. 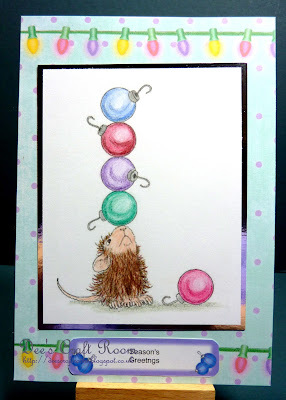 Another House Mouse stamp, this one is called 'Balancing Act', after colouring it with F&C polychromos pencils I mounted it on some silver mirri card. The Christmas lights came printed on the backing papers, which is from a House Mouse CD. Thank you Carol. I enjoyed colouring these HouseMouse stamps, I am thinking of buying some more. Thank you so much, these were great to colour with the pencils.